Want to attract trade show attendees to your booth and maintain their interest? Need a custom trade show booth design that outdoes the competition? Graphic designers at Dynamic Digital Advertising (DDA) are able to translate your needs into real trade show display solutions ideally suited for your company. DDA, one of Philadelphia’s most respected graphic design and web design firms, employs a design staff that includes some of the industry’s top tradeshow display designers. Digital Advertising; call to find out how. In order to compete in today’s demanding trade show environments, companies are constantly striving to develop bigger, better booth designs. DDA, the leader in web design and development, has the design advantage by drawing on the experience and skill of our designers who have created renowned trade show display booths and exhibit systems for many high-end clients. We work directly with every client to understand their goals and objectives in the initial stage of design and development. Once these factors are understood, our graphic designers formulate a concept integrating different display features such as lighting, shelving, and more that results in a sum much more versatile and effective than the individual parts. At trade shows you have just seconds to attract the attention of passers-by. Therefore, it is critical to present your company, products, or services in the most straightforward, professional way possible. To ensure that your company gets noticed, Dynamic Digital Advertising, Philadelphia's leading web design and development company, produces trade show booth designs that are as aesthetically pleasing as they as functional. Our graphic designs for modular displays, videos, banners, table covers, brochures, and other promotional pieces are second to none. At DDA, we live and breathe innovation to provide you with remarkable appeal that can’t help but attract the attention of all attendees. High-end trade show booths can be expensive, and as such, companies need to get the most bang for their buck. For this reason, DDA designs for longevity. Our clients receive graphic designs that can be used repeatedly at trade shows around the world. We consider your immediate needs as well as your future goals and aspirations to provide you with long-term cost-effective solutions. In addition, we work with industry-leading vendors to ensure ultimate durability and reliability so your trade show booth always appears as current and professional as the original. Effective trade show displays and exhibit systems must not only be attractive but capable of efficient packing, assembly, and disassembly in order to minimize labor costs and avoid damage. 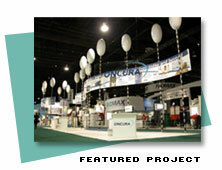 Dynamic Digital Advertising designs trade show booths for easy transportability and setup. DDA is able to ship each new display in protective packaging so it arrives to your next show unflawed. We recognize that there are seemingly endless possibilities for today’s trade show booths and it can be challenging to decide on features, options, designs, and locations. Let DDA help you make the right decisions so you can optimize your efforts for your next trade show. Contact DDA today. At the forefront of medical marketing, DDA Medical is the advertising agency that offers the ideas, services, and strategies necessary to make your medical device visible to the healthcare community and patients. No matter how high the quality of your medical equipment, without the global direct-to-consumer advertising and medical device marketing strategies that DDA Medical offers, your medical device will not get the exposure it needs. With a variety of medical advertising services including Medical Website Design and Development, Medical Video Production, Medical Print Design, Medical Trade Show Graphics, and Medical Animation, DDA Medical can transform the way that you do business-to-business medical advertising, providing innovative medical equipment advertising on the Internet, in print, and through commercial media while ensuring compliance with FDA standards. Dynamic Digital Advertising has changed the way that companies use video, taking every step along the way to give you the Medical Video or Corporate Video production that you need. A full-service advertising agency and video production company, DDA Video will bring your project all the way from scriptwriting and video editing to CD/DVD label and case design, providing you with Hollywood results at a fraction of the price. 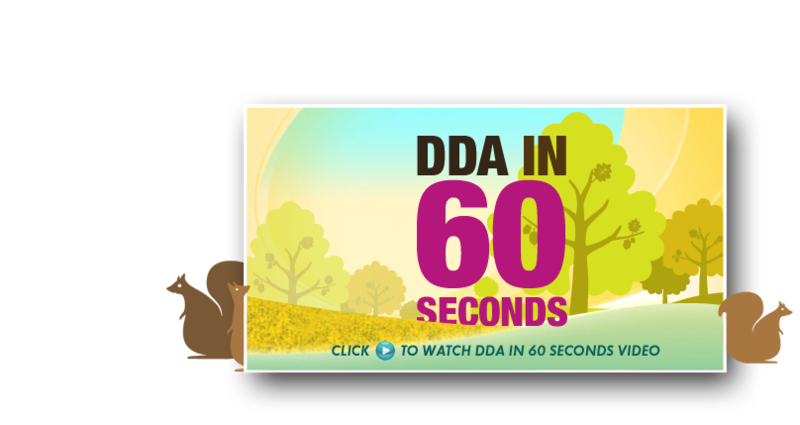 Whether you want a spokesperson video for your website, an infomercial, or anything in between, DDA has the video production services and video editing capabilities to make sure that your video production is the best available. Trade show booths represent only a small part of what Dynamic Digital Advertising can do just as they represent only small part of your companys marketing campaign. Did you know that DDA, a custom website design company, can construct and promote a powerful website that dramatically increases your companys ability to reach members of your target market? DDA custom designs and develops websites for the purpose of ranking in the highly-visible top spots of major search engines front pages and impressing every visitor who clicks-through to your website. Dynamic Digital Advertising does more than conceptualize, plan, and produce high-end trade show booths. As a leading graphic design firm who houses one of the most extensive and diverse graphic design service lines in the United States, DDA is able to meet virtually any marketing and advertising need. Beyond trade show graphic design, Dynamic Digital Advertising also creates the custom promotional materials you need for product branding, from original brand logos and unique sell sheets to full-scale billboards and virtual worlds.